For over thirty years, H.P. 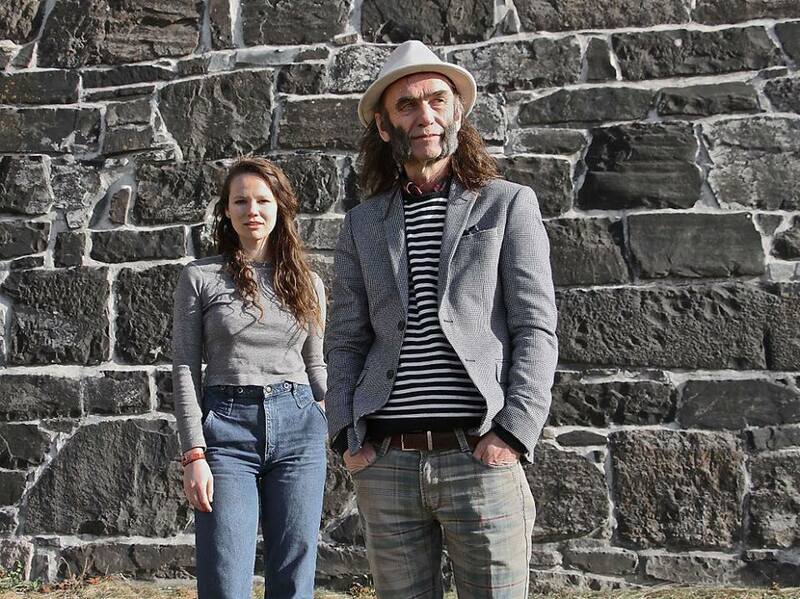 Gundersen has been at the heart of Bergen’s thriving and vibrant music scene. The Bergen based singer, songwriter, guitarist and producer is a veteran of many groups, including Animal Farm, House Of Hiss, Nekken, Rust, Sensible Twins and The Stain Monster. He’s also discovered and developed many up-and-coming artists. Their careers have been guided by H.P. Gundersen. Many have gone on to enjoy commercial success and critical acclaim. This includes Sondre Lerche, Stockhaus, Nathalie Nordnes and Ronni Le Tekrø. In total, H.P. Gundersen has produced around fifty albums. He’s also produced Madrugada huge hit Lift Me and Tim Rose’s final album American Son. Despite forging a reputation as a successful producer, H.P. Gundersen is still making music with his latest band. H.P. Gundersen’s latest project is The Last Hurrah! !, who will release their third album Mudflowers on Rune Grammofon on 7th August 2015. Mudflowers marks the debut of the latest member of The Last Hurrah! !, up-and-coming vocalist Maesa Pullman. For those who are unfamiliar with Maesa Pullman, she’s a singer, songwriter, guitarist and pianist. She’s based in Los Angeles, and made her recording debut back in August 2013. That’s when she released her Whippoorwill E.P. This six track E.P. introduced the world to Maesa Pullman. It was well received by critics locally. Following the release of Maesa Pullman’s Whippoorwill E.P., her star been in the ascendancy. Following the release of her Whippoorwill E.P., Maesa Pullman has been playing live and collaborating with various artists within her local musical community. Locally, she was seen as a star in the making. However, further afield, many people were still to discover Maesa Pullman. That didn’t include H.P. Gundersen. As has been the case for the past thirty years, H.P. Gundersen has his finger on the musical pulse. Not just in Bergen though. He’s well aware of that’s happening much further afield. So, when he was looking to add a vocalist to his latest project The Last Hurrah! !, he knew who to turn to, Maesa Pullman. Despite several thousand miles separating Bergen and Los Angeles, HP Gundersen had heard about Maesa Pullman. She was a young, rising star of the Los Angeles’ music scene. What’s more, Maesa Pullman was said to have a big future in front of her. This made her perfect addition to The Last Hurrah!!. Previously, The Last Hurrah!! have released two albums on Rune Grammofon. Their debut came in 2011, when Spiritual Non-Believers was released. It was a genre-melting album, one that allowed H.P. Gundersen to explore the sonic possibilities of drone guitar on a trio of tracks. The centrepiece was the thirty-one minute epic, The Ballad Of Billy And Lilly. This ambitious and groundbreaking track was guaranteed to set tongues wagging. Critics were won over by Spiritual Non-Believers. They called Spiritual Non-Believers a bold and ambitious project. It was released to widespread critical acclaim. A great future was forecast for sonic pioneers The Last Hurrah!! Two years after the release of Spiritual Non-Believers, The Last Hurrah!! returned with their sophomore album The Beauty Of Fake. It was released in 2013, and marked a change in The Last Hurrah! !’s sound. While Spiritual Non-Believers explored the sonic possibilities of the drone guitar, The Beauty Of Fake was a shift towards a more song oriented album. However, The Beauty Of Fake weren’t leaving their old sound behind. Instead, their sound was gradually evolving. This appealed to critics. Given H.P. Gundersen’s reputation as a musical pioneer, critics weren’t surprised that The Beauty Of Fake marked a slight stylistic shift from The Last Hurrah!! They welcomed The Last Hurrah! !’s new sound. This was what they expected from a group lead by H.P. Gundersen. He had been around the Norwegian music scene for nearly thirty years, and knew that that musically, any group who stood still musically, were risking becoming irrelevant. That wasn’t going to happen to The Last Hurrah!! Another two years have passed since The Last Hurrah!! released The Beauty Of Fake. 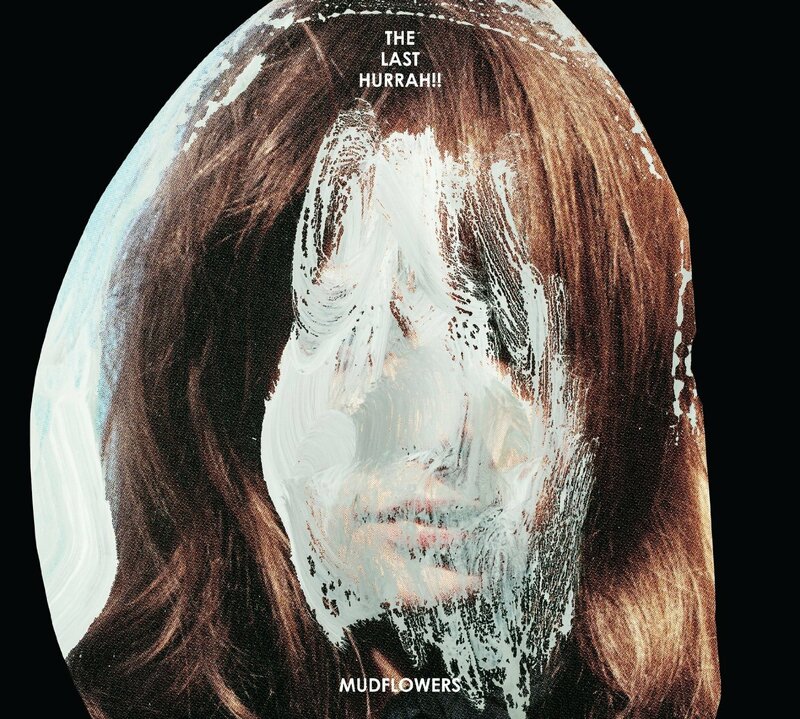 They return with their third album Mudflowers on the 7th August 2015. It will be released on Rune Grammofon, the label that released Spiritual Non-Believers and The Beauty Of Fake. However, Mudflowers is a quite different album from The Last Hurrah!! The main difference is The Last Hurrah! !’s lineup on Mudflowers. Vocalist Maesa Pullman makes her debut. She’s joined by her cousin Rosa Pullman, who sings lead vocal on You Ain´t Got Nothing and Those Memories. That’s not the end of the guest artists. Captain Beefheart’s band. They’re joined by a rhythm section of drummer Kiel Feher and bassist Jason Hiller. Another notable name is U2 drummer Larry Mullins. He’s part of what’s an all-star band. This all star band is augmented by some of the finest musicians and backing vocalists in Norwegian music. However, the man behind the project is H.P. Gundersen. Masterminding Mudflowers is H.P. Gundersen. He wrote nine of the songs and cowrote You Soothe me. H.P. Gundersen also plays guitar, adds backing vocals and co-produced Mudflowers with Jason Hiller and Rune Kristoffersen. He’s the man behind Elephant Song and Monolight, and is the founder of the Rune Grammofon label. Jason and Rune played an important part in producing Mudflowers, which I’ll tell you about. Opening Mudflowers, is the ballad Okay. It marks the debut of Maesa Pullman. A roll of drums signals the entrance of the piano, rhythm section and pedal steel. It adds a country sound, while gospel tinged harmonies accompany Maesa’s hopeful, heartfelt vocal. By then, the arrangement brings to mind Wilco and The Jayhawks. Later, swells of strings sweep slowly. They’re the perfect accompaniment to Maesa as tenderly she sings: “dreams are forever…under the neon, nights don’t get dark.” All the time, cooing, sweeping harmonies accompany and compliment Maesa on this beautiful ballad, where Americana, country, gospel and pop combine. From the opening bars of The Weight Of The Moon, it’s apparent something special is unfolding. Drums are joined by a searing guitar. It cuts through the arrangement, before the band lock into a tight groove. They provide the backdrop for Maesa’s heartbroken vocal. She delivers the lyrics as if she’s lived them. Behind her, washes of guitar and swathes of strings are joined by cooing harmonies. It’s a heady and melodic brew, one whose cinematic sound is irresistible. The tempo drops on Can´t Wait No More, which straight away, heads in the direction of Nu Country. Partly, that’s down to the weeping pedal steel. It’s joined by hypnotic drums and swells of strings. Meanwhile, Maesa is delivering a soul-baring, needy vocal. That’s apparent as she sings: “I can’t wait anymore.” By then, washes of Hammond organ are accompanying a vocal that’s soulful, hopeful and needy. Just like on Okay, it’s as if Maesa has lived the lyrics, and knows exactly how to bring them to life. You Ain´t Got Nothing marks the debut of the other Pullman cousin, Rosa. Just like her cousin Maesa, she’s a talented singer whose able to breath life, meaning and emotion into lyrics. Behind her, the rhythm section, guitar and combine pop, rock and and country. Rosa, meanwhile, unleashes a vocal that’s a mixture of power and emotion. Especially, the way she sings: “you ain’t got nothing, you ain’t got nothing.” It’s as if she’s venting the frustration and anger that’s built up inside. Her cathartic vocal becomes a soulful version of Primal Scream Therapy. After two songs from Rosa Pullman, Maesa Pullman returns on Is It Me? As a guitar cuts through the arrangement, the rhythm section, pedal steel and piano combine. They’re soon joined by a thoughtful Maesa: “is it you, it me, is it love, I don’t know?” The way she delivers the lyrics, it’s as if if she’s drawing upon personal experience. Maesa don’t so much deliver lyrics, but lives them. As she sings, “when you were strong, and I was weak,” a guitar and pedal steel provide a backdrop that’s more Nashville than Bergen. Partly, that’s down to guitarist and co-producer H.P. Gundersen’s versatility. He provides the perfect backdrop for Maesa heart wrenching vocal. like the rest of The Last Hurrah! !, Maesa is proves a versatile singer who seamlessly, can shift between musical genres. In the first few bars of Tried To Lose You, The Last Hurrah!! combine blues, psychedelia, pop and country. There’s even a cinematic sound. That’s before a blues harmonica sets the scene for Maesa. Her vocal is rueful, as she makes the song swing. Meanwhile, the harmonica, chiming guitar and rhythm section create a bluesy, psychedelic backdrop. Maesa’s vocal references Americana and country. Then when it drops out, the rest of The Last Hurrah!! enjoy the opportunity to stretch their legs. They prove a tight, talented and versatile band. The finishing touch are the swells of strings that accompany the harmonica solo. It’s like listening to the best bar band ever. Closing Mudflowers is The Jig. Stabs of piano and the rhythm section are joined by the pedal steel. They provide the country backdrop for Maesa’s tender, rueful and country tinged vocal as she sings: “I’ve never been quite the marrying kind,… and that’s why I’ve got to go…bye bye baby I’ve got to go.” Playing leading roles are the pedal steel, harmonies and washes of Hammond organ. They’re the perfect accompaniment to Maesa Pullman, as she delivers one of her best vocals. That’s a fitting way to close Mudflowers, The Last Hurrah! !’s third album. Two years after the release of The Last Hurrah! !’s last album The Beauty Of Fake, they return with their much anticipated album Mudflowers. It’s the best album of The Last Hurrah! !’s three album career. For Mudflowers, bandleader H.P. Gundersen put together what can only be described as an all-star band. Each of them played their part in the sound and success of Mudflowers. Two musicians who played starring roles were Marty Rifkin on pedal steel and John Thomas on Hammond organ. They’ve worked with some of the biggest names in music. However, one person who plays a huge part in the sound and success of Mudflowers is H.P. Gundersen’s latest discovery Maesa Pullman. She breathes life, meaning and emotion into eight of the ten tracks. Maesa Pullman is a versatile and talented vocalist with a great future ahead of her. Although Mudflowers will be most people’s introduction to Maesa Pullman, it won’t be the last they hear of her. She’s destined for great things. Hopefully, Mudflowers is the start of this. However, Maesa isn’t the only Pullman on Mudflowers. Maesa Pullman’s cousin Rosa Pullman features on two tracks. She’s also a talented singer, who looks like forging a successful career in music. The Pullman family it seems, is a talented family. They’ve played a huge part in the success of The Last Hurrah! !’s third album, Mudflowers. It’s an album that’s been inspired by an eclectic and disparate selection of musical genres. Everything from Americana, blues, country, pop, psychedelia, rock and even soul shine through on Mudflowers. One influence overshadows the rest. That’s country. Sometimes, Mudflowers sounds as if it’s been written and recorded in Nashville. However, it wasn’t. Instead, Mudflowers, The Last Hurrah! !’s third album was written and recorded in Bergen, Norway. That’s a long way from Nashville, Tennessee. However, it was in Bergen that H.P. Gundersen’s latest project The Last Hurrah!! recorded what’s a career defining album, Mudflowers. It will be released by Rune Grammofon on 7th August 2015. Mudflowers introduces the world to The Last Hurrah! !’s latest recruit, Maesa Pullman a truly talented and versatile vocalist. On Mudflowers, A Star Is Born, and her name is Maesa Pullman. Tagged: H.P. Gundersen, Maesa Pullman, Mudflowers, Rune Grammofon, Spiritual Non-Believers, The Beauty Of Fake, The Last Hurrah, Whippoorwill E.P. ← THE HOUSE IS ROCKIN’- A TRIBUTE TO STEVIE RAY VAUGHAN. The Last Hurrah!! 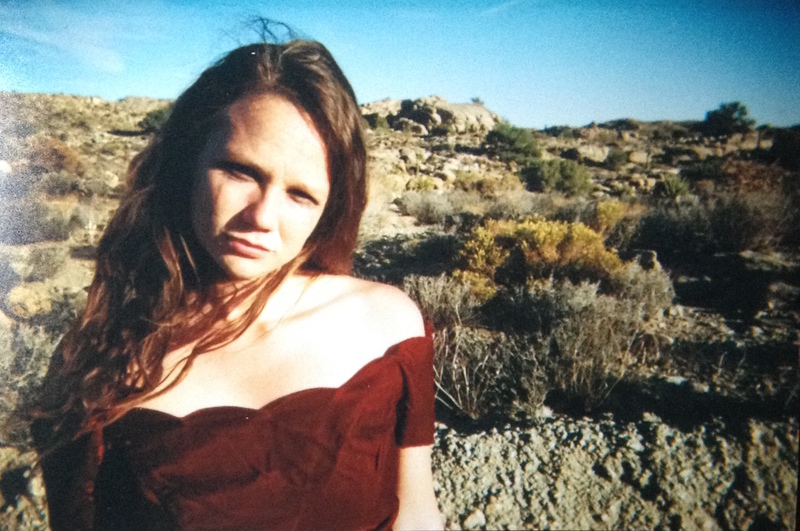 have just released a new album called “Los Angeles”, continuing with Maesa as the lead singer. Will you be reviewing that as well? Thanks for your comment a review of the Los Angeles album will be published in the next week or so.